When you are heading off for a short break, you don’t want to be taking a lot of luggage with you, especially as this is likely to lead to pricey checked luggage charges. I am terrible for taking too much with me and no matter how hard I try to scale my luggage down, it’s always a close call. I headed to Malta and Berlin this year for 3 and 2 night breaks respectively. I decided to challenge myself to taking hand luggage only. At the beginning, my only concern was the weight limit……how to scale down my 20kg load to just 10kg. That actually turned out to be the easy part! What I found really tough was only being able to take a single 20 x 20 cm bag for all liquids. I took facial scrub, cleanser, various moisturisers, shampoo, conditioner, body wash, body lotion, contact lens fluid, toothpastes, sun lotion, foundation, mascara, eye liner……you get the picture (quite literally….below)! I am pleased to say that I managed, comfortably, to pack light for my break in Malta and Berlin and it was liberating to be able to head straight to security rather than stand in the check-in line. It was even sweeter to walk out of the airport the other end without waiting for my bag to make an appearance on the carousel. 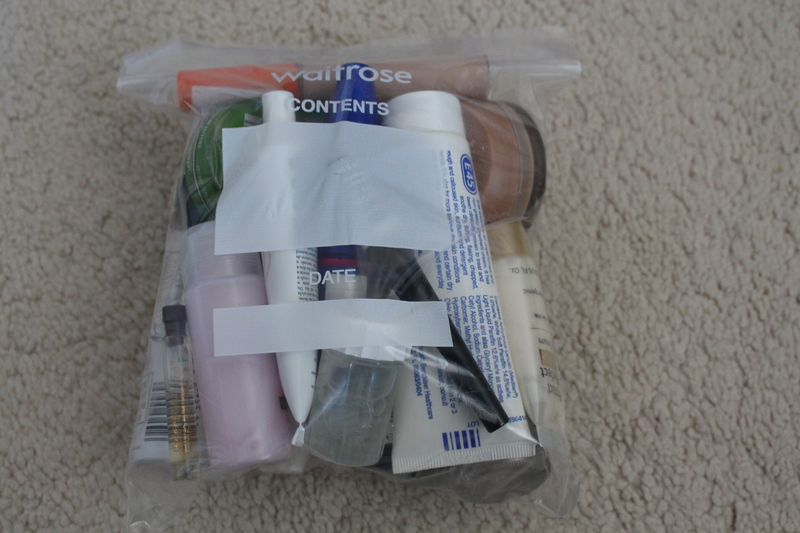 I thought it would be useful to give my top tips on packing light to save you time and money. Just be mindful that you could actually arrive at the airport and be asked to check your bag in and so take a padlock with you just in case or if you forget and happen to have a hair band or elastic band, these come in useful as ties (potentially more secure as they can’t be tampered with as easily). It starts with the case. Invest in a lightweight case which takes your little finger alone to lift it. We used the IT case. Make a list of what you want to take and then think about what you need to take. Take a second look at everything. Do you need to take a full bottle of shampoo for 3 nights? What does your hotel already provide? Do you need 3 pairs of shoes? Everything can be scaled down! Be creative – I used a spare contact lens case for my cleanser which continued to last long after I got home; I can safely say that it would have lasted 14 nights (morning and night use). 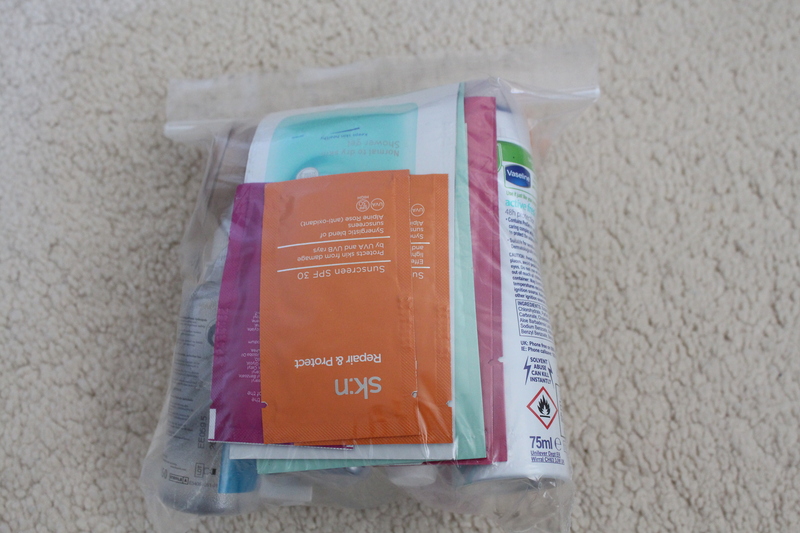 Think about using sample sachets of body lotion and conditioner and samples of perfume (which lasted more than my 3 night stay). Packing light means packing light clothing. I took lightweight dresses which didn’t crease for the evening……better than heavy jeans. I appreciate my sunny destinations helped with the light weight packing but even in Iceland a couple of years ago where it was very cold, I could pack a light dress and tights for the evening and I was already wearing my heavy coat to the airport which I would have worn over the dress. Men could pack linen trousers as an alternative or, if jeans are a must, find some light weight ones. You can always wear your heavier items! Plan your wardrobe. Usually, I just pack a lot of things and decide what to wear when I arrive. For these short trips, I planned out everything, making sure I took items which I could mix and match. Use a particular colour palette to make this easier. It’s tedious I know but it will mean you don’t waste your valuable packing space, leaving room for souvenirs (non-liquid ones of course unless you have room for a small one in your 20x 20 cm bag!). It also means you get dressed more quickly as you have already decided what you are going to wear!